What is the Origin Green Sustainability Charter? The Origin Green Sustainability Charter is the blueprint for how food and drink businesses can develop a multi-annual sustainability action plan. It outlines a mandatory mix of target areas that companies must commit to achieving in order to attain and retain membership. For manufacturing companies, there are three mandatory target areas: raw material sourcing, the manufacturing process, and social sustainability. Within the retail and foodservice charter, there are four key areas: sustainable sourcing, operations, health and nutrition, and social sustainability. The mix of targets form the basis of a participating company’s three- to five-year sustainability plan. This is verified independently by third-party verification body Mabbett. What changes have been made to the charter in 2019? Changes include a new mandatory packaging target under the Raw Material target area and an optional diversity and inclusion target introduced into the Social Sustainability target area. Why have these targets been implemented and what resources are there to help members? The mandatory packaging target was implemented because it is a key area of concern for consumers and customers alike. 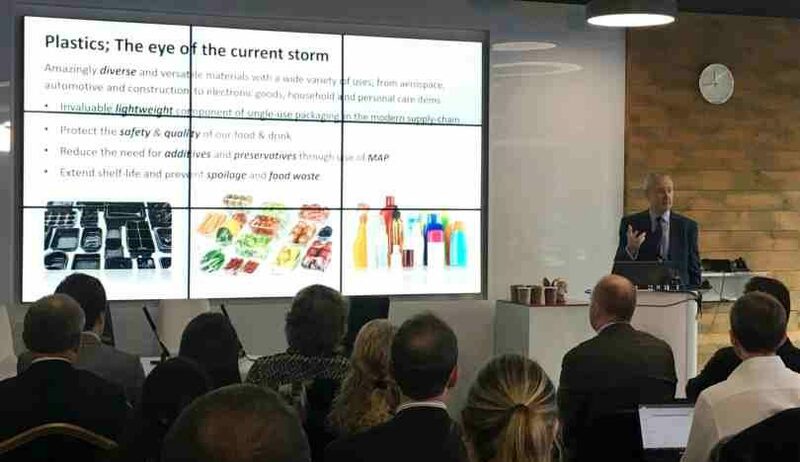 In September 2018, Bord Bia, in conjunction with Repak, hosted a ‘Sustainable Packaging Seminar’. To help Origin Green members set and attain realistic packaging goals, following last year’s seminar we are hosting ‘Prevent & Save’ packaging clinics in partnership with Repak. With help from a dedicated Repak packaging technologist, members are assisted on a one-to-one basis in identifying ways to prevent or effectively manage packaging waste or assess alternatives. Twenty-five of our members have attended to date. As the battle for talent plays out in all industries in Ireland, leading companies are becoming increasingly aware of the need to embed workplace diversity and inclusion (D&I) programmes within their employee practices. An optional D&I target was added to the charter to help companies focus on this as a social target area. Additionally, the Agri-Food Diversity and Inclusion Forum, led by Bord Bia and Aon, in partnership with the 30% Club, is running a series of free master classes on D&I this year. Companies can also avail of a dedicated D&I Toolkit. A fundamental element of Origin Green involves supporting Irish food and drink manufacturers as they set and achieve ambitious sustainability targets. Ongoing resources include workshops, online training, feedback reports, mentoring, knowledge sharing, and communication tools. How is Origin Green making a difference? Over 80% of members say that the programme has helped improve their sustainability practices, embed the culture of sustainability in their organisation and build their company’s reputation. Furthermore, over half of members say it has helped them grow sales and build better relationships with their customers. Despite Origin Green’s positive role in the industry to date, many opportunities for new sustainability measures remain. We will continue to improve performance through collaboration with key stakeholders across the industry.